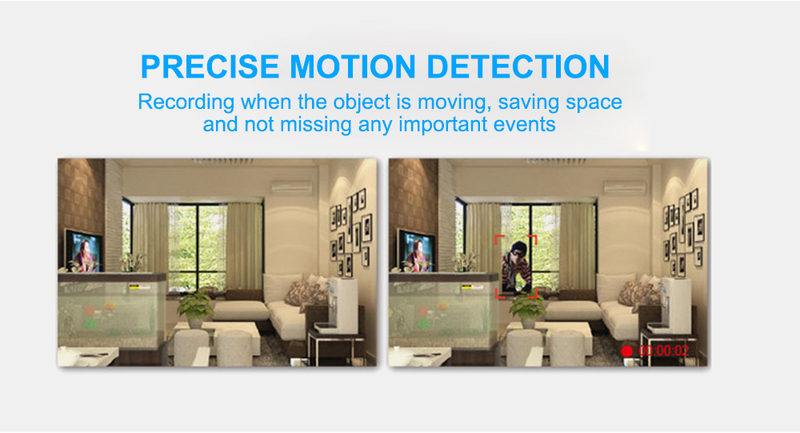 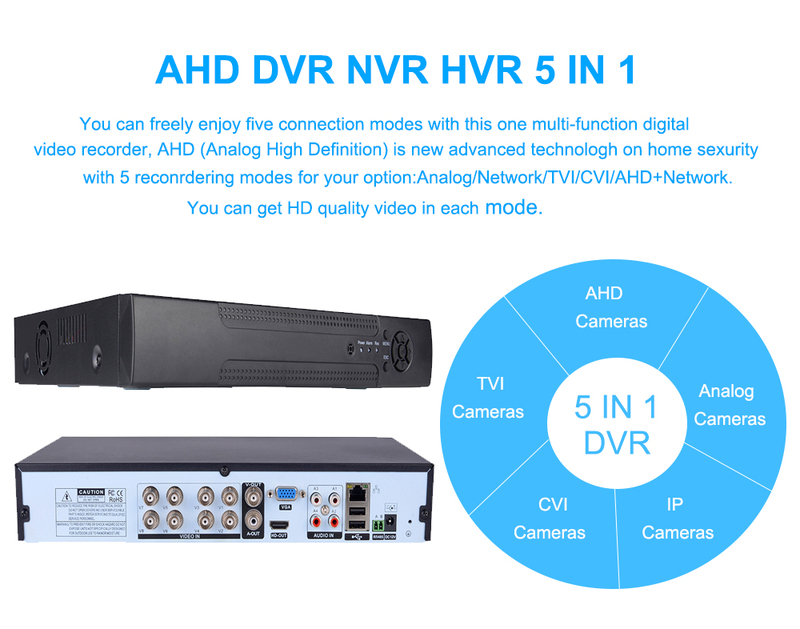 1, HD iDVR Five in one: combines the function of DVR/HVR/NVR together, multi-mode input, support 32Ch 1080N OR 32Ch 1080P; 16Ch 3MP; 8Ch 5MP or 8Ch 1080N + 8Ch 960P. 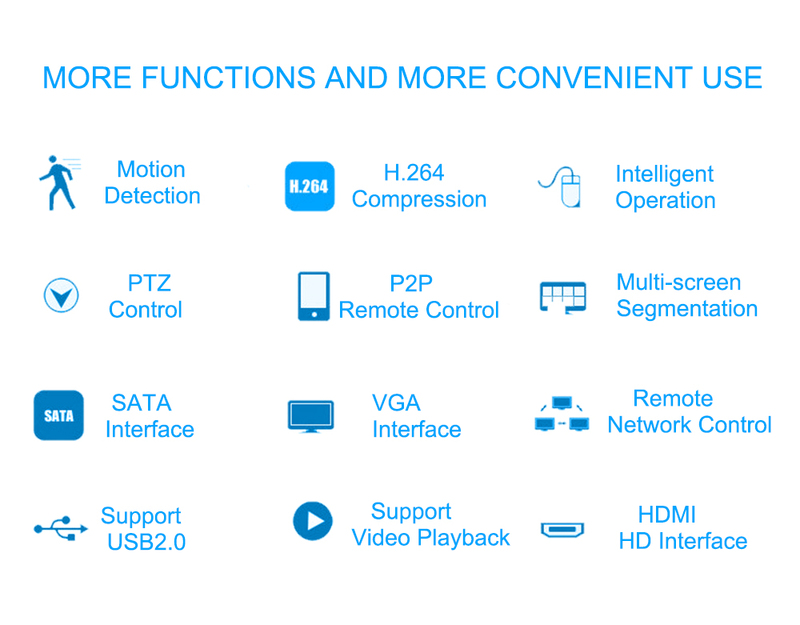 2,step on the internet:can penetrate through all kinds of network via cloud service, to do remote control easily&conveniently without any complicate setting. 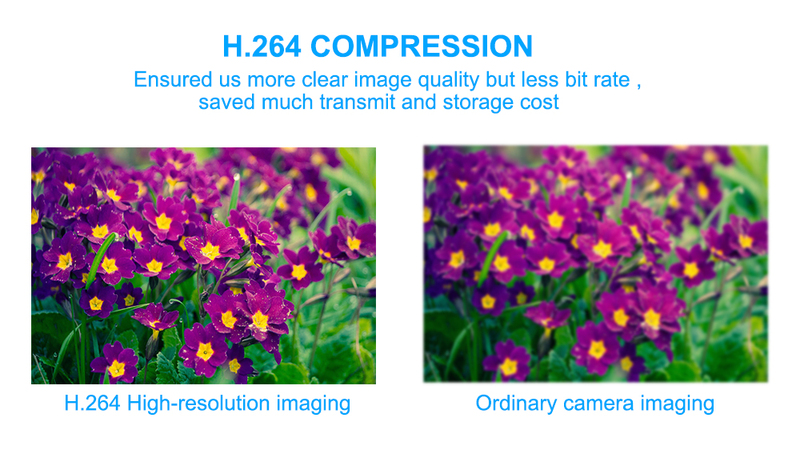 3, Compression algorithm ideal:Compression algorithm upgraded to H.264 main profile,the advance space-time filter technique make the code stream lower at least 30% . 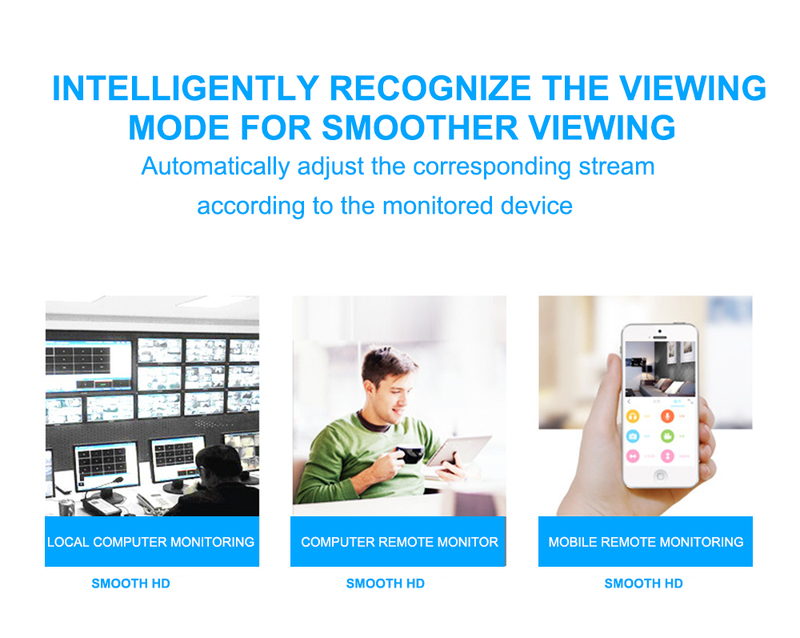 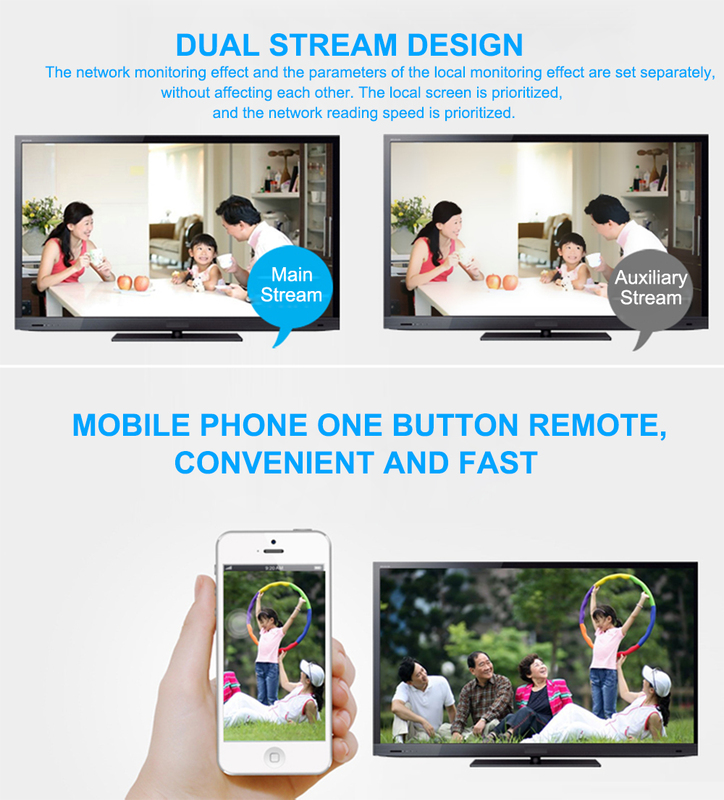 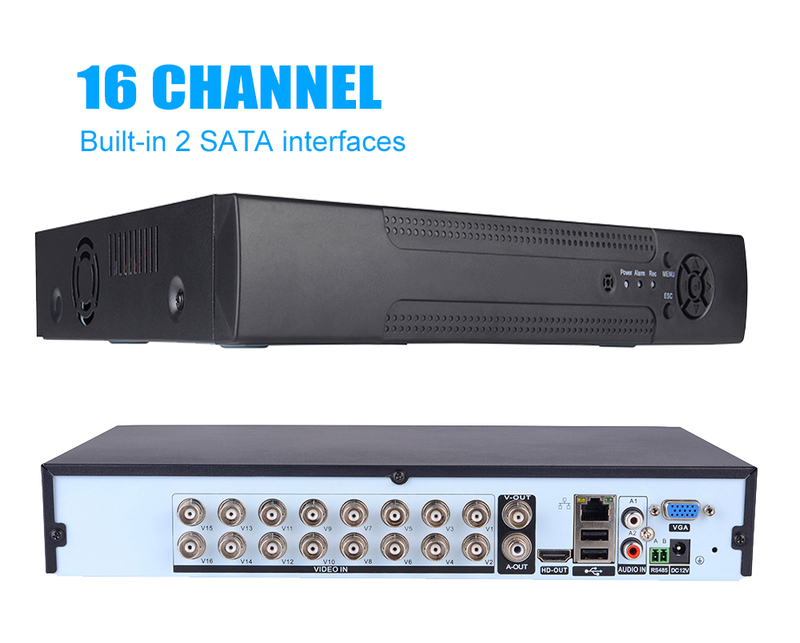 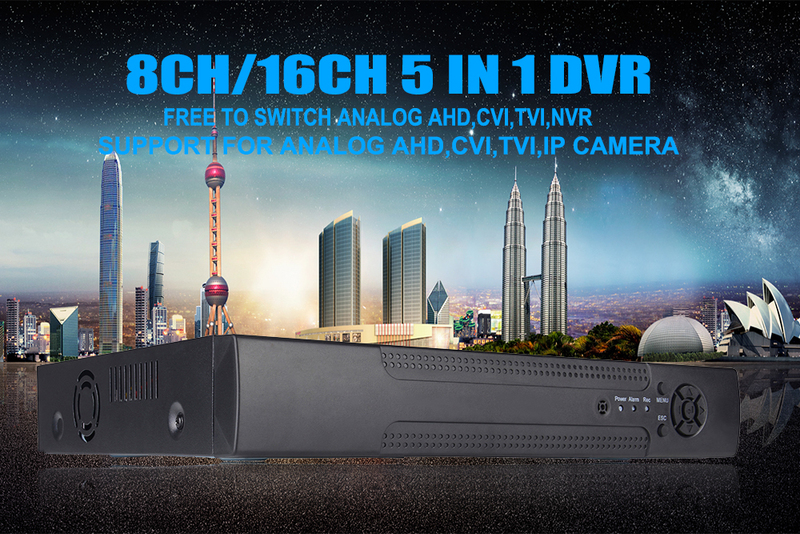 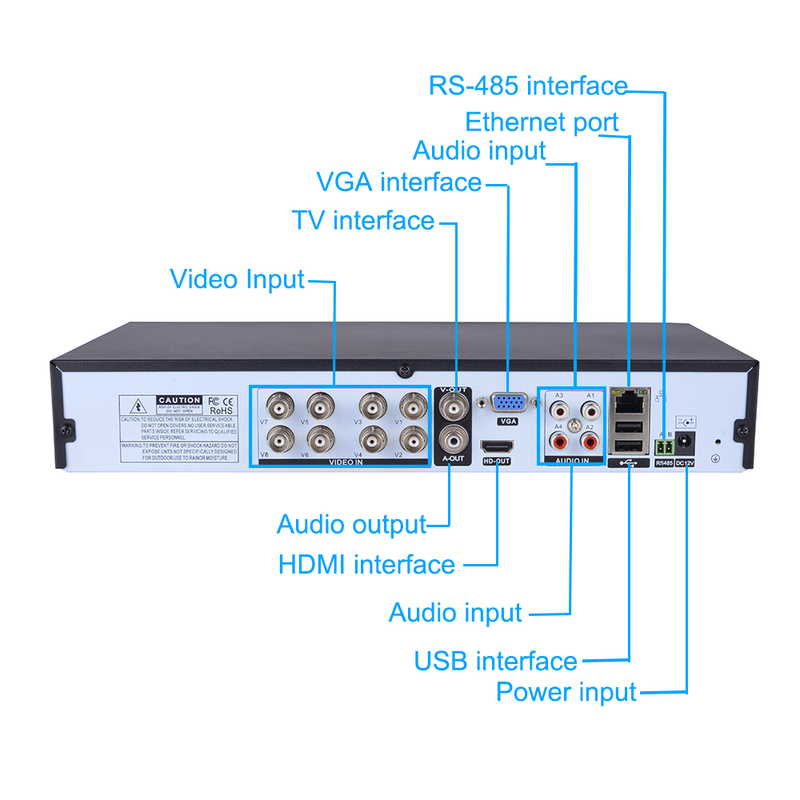 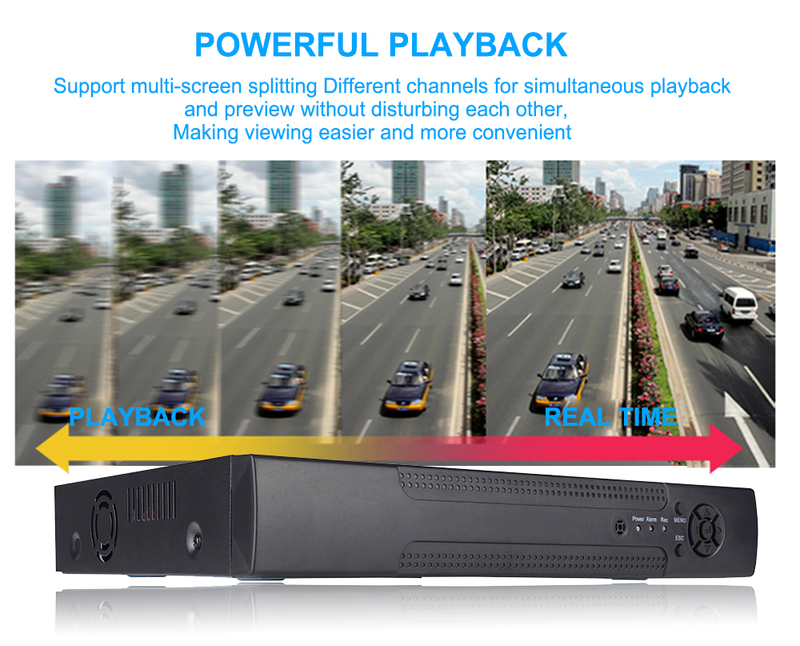 5, Main and Sub Stream:support main stream and extra steam encode synchronously.Main stream is for local storage to maintain the image quality, extra stream is for network real-time transmission, to easily solve the bottleneck problem of bandwidth. 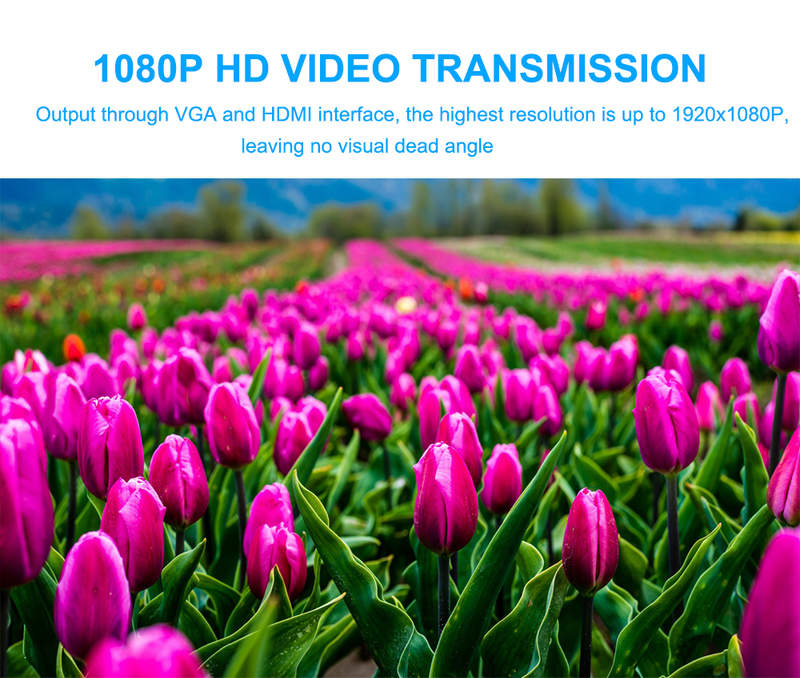 7, Display: support VGA&HDMI output synchronously which support 1080P hd output, make the traditional monitor display effect upside down. 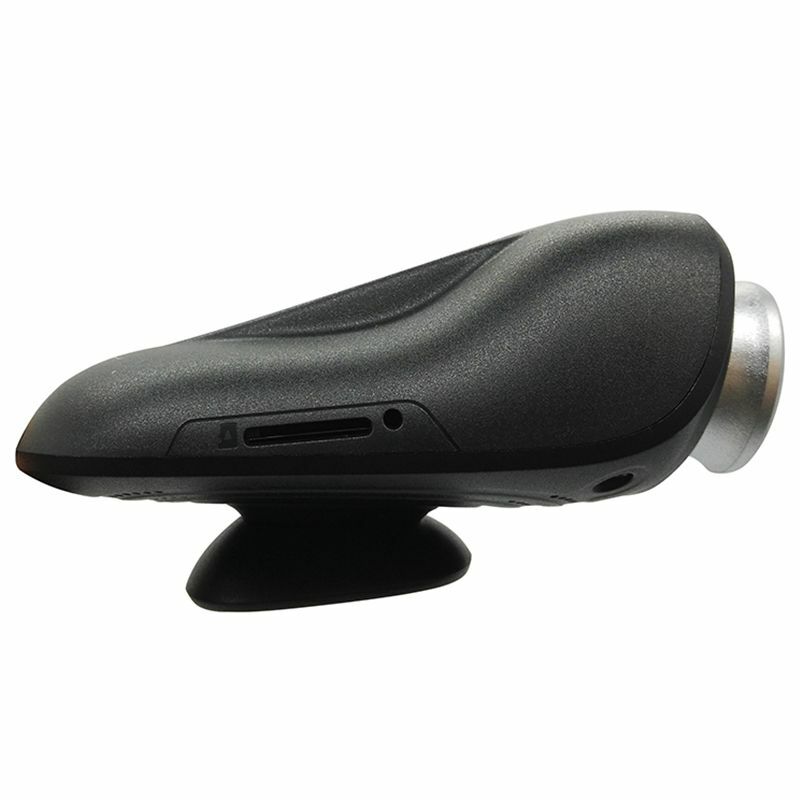 8,Operation interface:similar WINDOWS operating style,powerful right button menu function of mouse, make it easy for using. 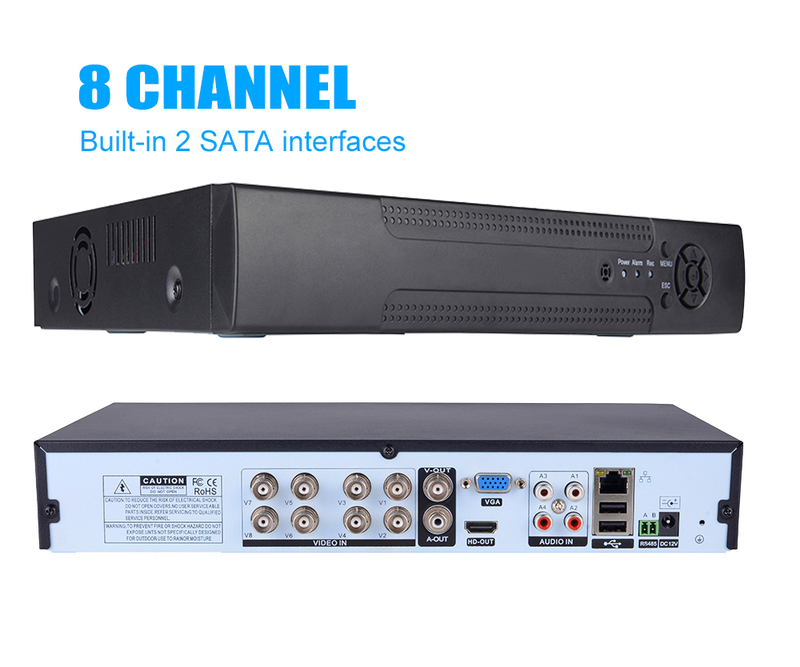 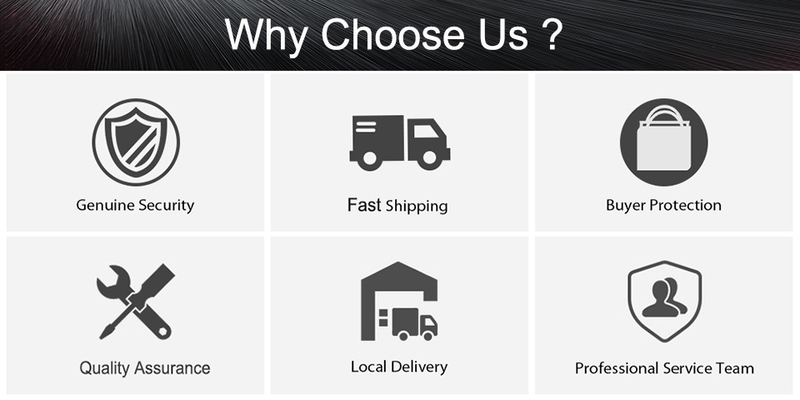 9, Network:Powerful net service(support DHCP,PPPOE,FTP, DNS,DDNS,NTP,UPNP, EMAILl,IP , etc), complete enclosure(WEB,CMS,SDK),to easily achieve interconnection. 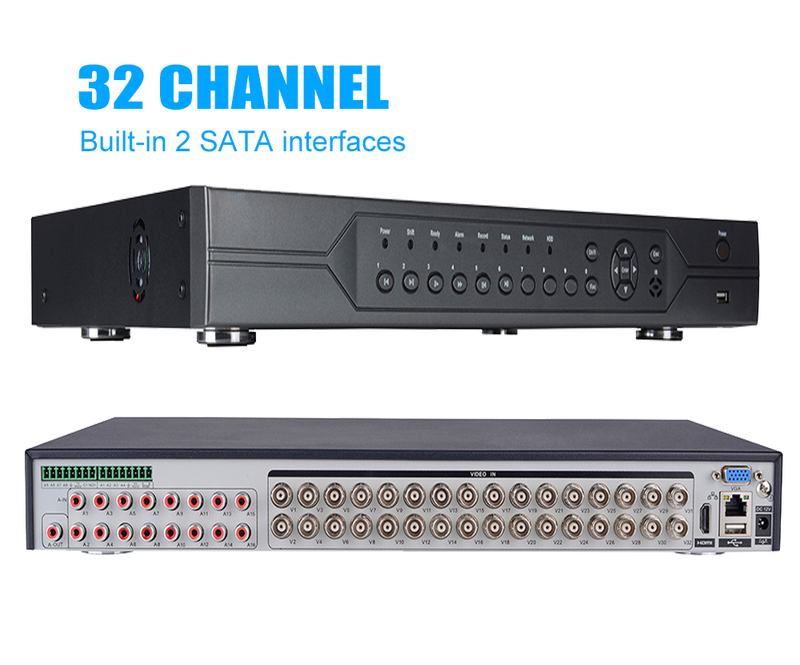 11, Remote Access:Self enclosed with DNS function (ARSP),one-key to enable remote control, and support DNS of 3322,dyndns,oray,myq-see, etc. 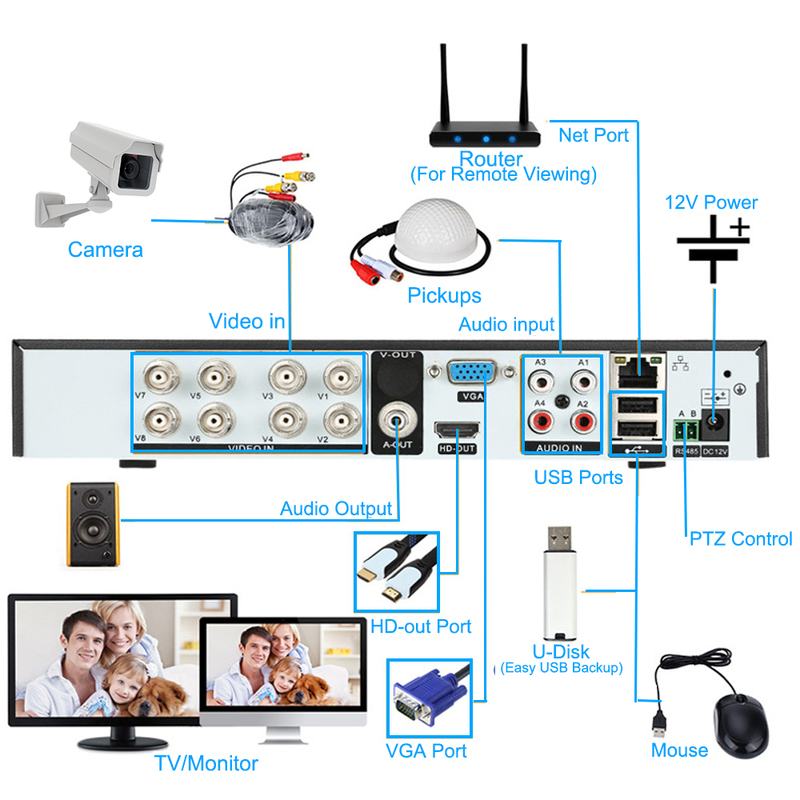 12, Others:Completed protective circuit, unique treble watchdog function, make device never crashed; special black-box technology to monitor the device process, greatly reduce the maintenance cost.